The effects of a well-defined combination of antioxidants on oxidative stress were investigated in vitro using classical techniques together and its protective effects against UV damage were investigated using a newly developed skin model. After determining the cytotoxic potential of the combination, its quenching effect on the oxidative stress induced by hydrogen peroxide was quantified by a nonfluorescent (C-H2DCF-DA/AM)/fluorescent (C-DCF) dye system using the fluoroscan assay. Two different skin models consisting of normal human skin fibroblasts and the keratinocyte cell line HaCaT were developed and subsequently used to visualize the protective effects of the combination against UVA damage. No evidence of any cytotoxic potential of the combination could be seen. Supplementation of human skin fibroblasts demonstrated a clear, dose-dependent enhancement of the antioxidative capacity of these cells. Histological findings confirmed the beneficial effects of the antioxidants present in the combination in the skin models used. 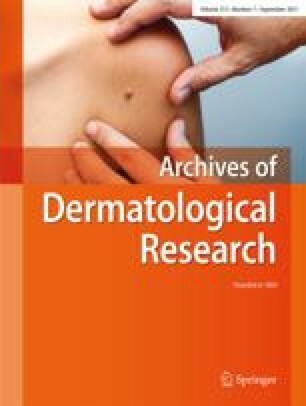 Supplementation induced morphological changes leading to a thicker epidermal layer providing evidence of the positive effects of the treatment on the viability of the keratinocytes after UVA irradiation. This in vitro study provided convincing evidence of the combined antioxidative action of α-tocopherol, β-carotene, tomato extract, grape seed extract, ascorbic acid and selenium yeast, and indicated a potential beneficial action of the combination against oxidative stress caused by external oxidative stress factors such as UV irradiation. The authors wish to thank Pharmaton SA, Lugano, Switzerland, for kindly providing the active substances and for financial support.